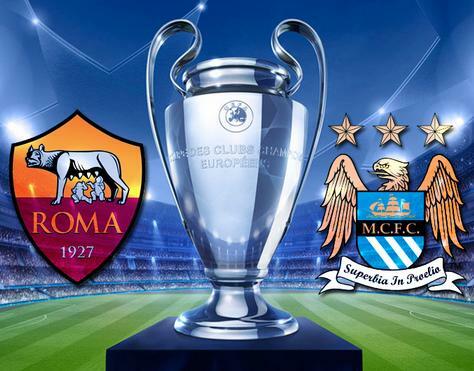 On Wednesday evening Manchester City face AS Roma at Stadio Olimpico in Italy. It’s a crucial game for both sides involved as the winner will progress into the knockout stages of the Champions League. The can watch the game live on Sky Sports from 7:45pm, if you fancy a bet in-play make sure you have an account with Bet365 who offer an excellent variety of markets and competitive prices. As it stands, Bayern Munich have already qualified as the winners of Group E, the German side are seven points ahead of the sides below them, they’ve won four of their five Champions League matches this campaign. The runners up spot could go to any of Manchester City, AS Roma or CSKA Moscow, each of whom are on five points each. If Manchester City are to qualify they must beat AS Roma or force a score draw on Wednesday however they must better the result of CSKA Moscow who have the near impossible task of beating Bayern Munich at the Allianz Arena. It is certainly set to be an exciting 90 minutes for the sides involved. Italian side AS Roma are the 2.5 favourites to beat the Premier League champions Manchester City and Roma are the even money favourites to qualify from Group E whilst Manuel Pellegrini’s side can be backed at odds of 2.1. These two sides met at the Etihad Stadium towards the end of September and it finished 1-1 which was a fair result, i’m anticipating another close match between these two teams, although I do expect Roma to have a lot more of the ball. Man City come into this encounter in good form, they’ve won their last five matches and that includes a 3-2 win against Bayern Munich at the Etihad however Bayern were down to ten men after 20 minutes as Benatia was shown a straight red card. On the other hand AS Roma are also in decent form, they are unbeaten in five games and are just two points behind top of the table Juventus in the Serie A, however they were held to a 2-2 at home against Sassuolo on Saturday. The big news is that Manchester City’s star man Sergio Aguero has been ruled out of this crucial match through injury which significantly reduces their chances of qualifying. David Silva is expected to return to City’s starting eleven despite spending five weeks out with a knee injury, how sharp will the Spaniard be? Finally club captain Vincent Kompany is 50/50 ahead of this match and i’m certain Pellegrini will be eager for the Belgian to start this game. AS Roma are fortunate and are missing very few players for this encounter. I do expect Roma to win this match against a Man City side that have failed to perform on so many occasions in the Champions League. Roma’s home form has been excellent this season and I see no reason why that can’t continue, they have won 7 of their eight matches at home this campaign. Finally Manchester City are without their top goalscorer Sergio Aguero who has saved them on many occasions this season, David Silva and Vincent Kompany are also unlikely to be 100%, the may be off the pace against a top Roma side.